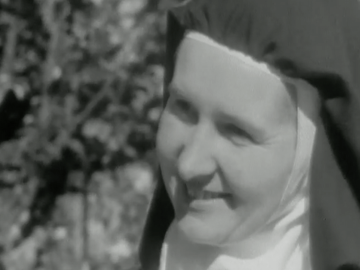 This NZBC religious programme goes where TV cameras had never gone before: behind the walls of the Carmelite monastery in Christchurch. There, it finds a community of 16 Catholic nuns, members of a 400-year-old order, who have shut themselves off from the outside world to lead lives devoted to prayer, contemplation and simple manual work. Despite their seclusion, the sisters are unphased by the intrusion and happy to discuss their lives and their beliefs; while the simplicity and ceremony of their world provides fertile ground for the monochrome camerawork. 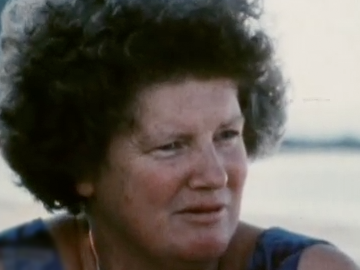 This fresh, unhurried film is drawn from a substantial interview with renowned writer Janet Frame by Michael Noonan; filmed largely at at Frame’s then-home on Whangaparoa Peninsula. It was part of the Three New Zealanders series made to commemorate the 1975 International Year of Women — an early John Barnett production. The rare footage of Frame — here aged 50 — presents a confident writer in her prime, and negates any stereotypes about Frame's inarticulacy or shyness. Note: the segments from the programme dramatising some of Frame’s work are not included here.